In this episode of Conversations with Smart People, I interviewed Stephanie Myer, The Martyr Coach, to better understand what it means to be a martyr. Watch my interview with Stephanie here. Did any of that sound familiar? I can definitely relate to a lot of this. “Martyrs feel like it’s their responsibility to make other people happy, and deep down, they are afraid of not being valued or needed,” Myer explains. Martyrs are caretakers. They want things to be balanced. They have a strong desire for peace, and they want to help others. But the problem with their benevolent intentions is that most of the time, the other person doesn’t want their help. So, how do you know if you’re a martyr? You identify with other people’s feelings in a physical way. It’s as if you can feel their pain. You feel a strong urge to jump in and fix other people’s problems (usually without their permission). You feel upset when other people don’t take your advice or follow through with your suggestions. You expect something in return for your help. Take this quiz to find out if you’re a misunderstood martyr. In an attempt to please others, martyrs often become chameleons, conforming to what others want or expect them to be. But in the process, they can lose their identity. “We become fragmented pieces of other people,” says Myer. In her coaching practice, she helps her clients reclaim their identity, or sovereignty, which she defines as ruling your own empire. The relationship we have with ourselves dictates how we relate to, and show up for, others. That’s what makes self-care so critical. But it can be extremely challenging for martyrs to focus on their own needs. 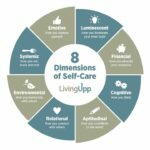 In fact, labeling self-care as selfish makes it easier to continue their codependent behaviors. Once we have a clear understanding of where we end and others begin, we can cultivate healthier relationships that honor autonomy and respect. This entry was posted in Conversations With Smart People and tagged codependency, martyr.